Raimon Panikkar (1918- ) has deliberated on principles and practices of multi-faith dialogue for over half a century. The presentation will focus on Panikkar�s experience of Christian-Hindu, Christian-Buddhist and Christian-Secularist dialogue. It will outline his �rules of the game� for interreligious dialogue and intercultural encounter. Attention will be drawn to his distinct levels of religious discourse identified as mythos, logos and symbol. Panikkar�s more adventurous proposal for the meeting of the world�s religious and cultural traditions will be introduced through elucidation of his �cosmotheandric vision� of reality�what he now calls �the radical trinity� of cosmic matter, human consciousness and divine freedom. The conversation will conclude with an overall assessment of Panikkar�s contribution to contemporary thinking on multi-faith dialogue and religious pluralism. 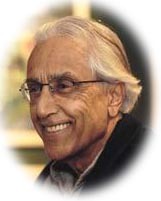 Born in Barcelona (1918) to a Catalan Catholic mother and an Indian Hindu father, Raimon Panikkar has dedicated his life to interfaith and intercultural dialogue. His approach is also interdisciplinary attested to by his three doctorates in philosophy, science (Madrid University) and theology (Lateran University). In the late forties, Panikkar was ordained a Catholic priest and in the early fifties first left for India where he undertook studies in Indian philosophy and religion (University of Mysore and Varanasi). For the next fifty years Panikkar's academic posts oscillated between professorships in European, Indian and North American universities. Panikkar is currently Emeritus Professor of Religious Studies at the University of California, Santa Barbara, but lives in Tavertet, outside Barcelona, where he continues to study, pray and write. He continues to minister as a Catholic priest, but conceives of himself as a monk. Panikkar has published some forty books and four hundred academic articles in a variety of fields and languages. Among these, his works on The Unknown Christ of Hinduism, The Trinity and Religious Experience, Worship and Secular Man, The Vedic Experience, Myth Faith and Hermeneutics, The Intra-religious Dialogue and The Cosmotheandric Experience mark him out as a significant religious scholar. Anthologies of important essays include The Invisible Harmony and A Dwelling Place for Wisdom. What he calls his final word, The Rhythm of Being, based on his 1989 Gifford Lectures, is still in process. My own interest in Panikkar was aroused when I first read on the back of a book-cover the words: "I left (Europe) as a Christian; found myself a Hindu; and I return as a Buddhist, without having ceased to be a Christian." Unsurprisingly, perhaps, this had been taken from an article entitled: "Faith and Belief: A Multireligious Experience." What I immediately noted, of course, was the implied challenge to the objectivist methodological stance of most writings on religious pluralism. Panikkar was raising the subjective, personal, religious experience to a new level of methodological importance for religious understanding. From here, I soon came across and have forever remembered what he terms the golden rule of hermeneutics, namely, that the interpreted must understand itself in the interpretation.1� The question of whether one could actually be a Christian, Hindu and Buddhist at the same time would need to await further elucidation. For Panikkar, multi-faith dialogue is both a highly political and highly urgent activity directed towards "creating new forms of human consciousness--and corresponding new forms of religiousness." It involves the crossing-over of traditions in a manner that does not abandon one's primal tradition, but deepens and extends it. Something new is created at the level of human and religious consciousness. Panikkar's primary principle for religious encounter is that it must be a truly religious experience. He develops this with respect to a number of subsidiary principles. 2. It must be free from general apologetics. Those involved in interfaith dialogue should not see their task in terms of defending religion in general against the non-religious or anti-religious attitudes of secular society. This would turn the religious encounter into an ideological movement as well being simplistic in its rejection of modern secular consciousness. 3. One must face the challenge of conversion. To be involved in religious encounter is a challenge and a risk. The truly religious person is not a fanatic who has all the answers but a pilgrim who is always open to the experience of grace and truth. One may lose one's life or even lose faith in one's own tradition--but one may also be born again and one's own tradition transformed. 4. The historical dimension is necessary but not sufficient. All religions risk limiting themselves to particular, historical interpretations which quickly become truncated ideologies. Religious encounter is a meeting of religious persons who both carry the power and burden of their own religious traditions; yet they also carry the power and burden of reinterpreting that tradition anew, not breaking with past history, but carrying it forward in imaginative ways. Religious persons like all others belong to history; they also change history through responding to life's contemporary challenges. 5. It is not just a congress of philosophy. Religious encounter is a meeting of persons, not simply the meeting of minds. This does not deny the place of philosophy including the possible comparison of various religious systems. Nonetheless, doctrinal comparisons must be genuinely dialogical, that is, taking into account the reality of profoundly diverse worldviews. Much damage has been done by well intentioned western scholars who assume that only western philosophy has appropriate categories for understanding the world's religions. If anything, eastern philosophy has a more sophisticated system for appropriating religious truth. 6. It is not only a theological symposium. Theologians have an important role, but religious encounter is not primarily concerned with theological systems of thought. Theologies emanate from a particular experience, revelation or event that is ipso facto specific to the particular religious tradition in question. Theologies are primarily concerned with religious beliefs; religious encounter is concerned with religious persons in their entirety. The meeting of persons is not at the level of belief, but at the level of faith in a truth that transcends beliefs, doctrines and theological systems. 7. It is not merely an ecclesiastical endeavour. Admitting that official encounter among representatives of the world's religious traditions is today an inescapable duty, these must be seen as separate to and independent of the religious encounter of ordinary religious believers. The former will be primarily concerned, as they must, with the preservation of their own traditions in a religiously pluralistic world. The latter will be freer to try new ways and risk new solutions . . . and to be genuinely open to the multireligious experience. 8. It is a religious encounter in faith, hope and love. Whereas beliefs, ideologies, doctrines and theologies divide, faith unites. Hope is at once a truly human and a profoundly religious attitude, often linked to the religious notion of sacrifice: one's eschatological hope for the world and ourselves enters the heart of the dialogue overriding fear, weakness and prejudice. Love seeks truth, but it also impels us toward our fellow human beings, leading us to discover in them what is lacking in us. In faith, hope and love, one yearns for the common recognition of truth that does not obliterate the differences or mute the voices of any tradition. 9. The primacy of intra-religious dialogue. Before entering into an inter-religious dialogue, one must first depth the reality of one's own tradition. This is to say that intra-religious dialogue is primary. Underlying Panikkar's "rules for religious encounter" is his seminal distinction between faith and belief. He understands faith as a "constitutive human dimension" coterminous with all people, cultures and religions.3 One does not have faith in doctrines, concepts or other 'things,' but in "the ever inexhaustible mystery, beyond the reach of objective knowledge. "4 Faith is that human dimension that corresponds to myth. In other words, faith is not the privilege of the few but the "primal anthropological act." Not that there is such a thing as "pure faith," since faith is always mediated through symbolic expressions and specific beliefs which embody faith in a particular tradition.5 However, authentic, religious belief is not primarily represented by the logos (doctrines) but by the symbol, the "vehicle by which human consciousness passes from mythos to logos. "6 Although beliefs are mediated through doctrines, ideologies, rituals and practices, there can be no effective discourse without a shared symbol system, a commonly held set of beliefs and values that unite believers within a tradition--and across traditions. It is for this reason that Panikkar focuses on the necessity of symbolic discourse in interfaith encounter--or what he calls "dialogical dialogue." Evidently, there are certain indispensable prerequisites for dialogical dialogue. These include a deep human honesty, intellectual openness and a willingness to forego prejudice in the search for truth while maintaining "profound loyalty towards one's own tradition. "11 This is why the starting point for dialogical dialogue is the intra-personal dialogue by which one consciously and critically appropriates one's own tradition. Without this deep understanding of and commitment to one's own tradition, there are simply no grounds for the dialogical dialogue to proceed. Second, one needs a deep commitment and desire to understand another tradition which means being open to a new experience of truth since "one cannot really understand the views of another if one does not share them. "12 This is not to assume an uncritical approach to the other tradition so much as a willingness to set aside premature judgments which arise from prejudice and ignorance, the twin enemies of truth and understanding. The inter-personal dialogue focuses on the mutual testimonies of those involved in the dialogue keeping in mind that "what the other bears is not a critique of my ideas but witness to his own experience, which then enters our dialogue, flows with it and awaits a new fecundation. "13 These notions of testimony and witness highlight the fact that dialogical dialogue is primarily the meeting of persons; the aim is "convergence of hearts, not just coalescence of minds. "14 Consequently, it is the experience of religious dialogue itself which is all important. In the encounter, each participant attempts to think in and with the symbols of both traditions so that there is a symbolic transformation of experiences. Both partners are encouraged to "cross over" to the other tradition and then "cross back again" to their own. In so doing, they mutually integrate their testimonies "within a larger horizon, a new myth. "15 Not only does each begin to understand the other according to the other's self-understanding, but there is growth and dynamism in the manner that each tradition understands itself.16 Dialogical dialogue challenges once and for all the notion that religions are closed and unchanging systems. Dialogical dialogue assumes then that one is able to enter into and experience the symbolic world of the other and, on the basis of such experience, integrate it into one's own tradition. One learns to think and understand on the basis of the symbol systems of more than one tradition. Symbols are both bounded and open. Their interpretation is never exhausted. And yet they are concrete, always tied to a particular worldview. The question to be asked is how a person is able to think different symbols together. Panikkar's notion of "homeomorphic equivalence" is designed to respond to this challenge. Homeomorphic equivalence (literally, 'similar forms') suggests there may be a "correlation of functions" between specific beliefs in distinct religious traditions. If so, the correlation cannot be imposed from outside but needs to be discovered from within through what is called a "topological transformation." This is the method that Panikkar follows in his work The Unknown Christ of Hinduism. Christian belief in Christ and the Vedanta Hindu understanding of Isvara are notably distinct, we might say incomparable. 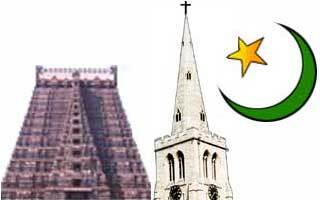 Nonetheless, certain correlations emerge once both Christ and Isvara are interpreted according to their respective functions within their own traditions: Christ's role as the one and only mediator between God and the world is not without meaning for the Vedanta Hindu who would call this Isvara, but understand it differently according to different conceptions of a personal creator God (Yahweh) and the impersonal non-creator Brahman.17 For Panikkar, the homeomorphic equivalence of Christ and Isvara keeps alive the differences between the traditions while also permitting points of encounter. The tension between faith and belief translates into the tension between similarity and difference. Panikkar holds that "each religion represents the whole for that particular group and in a certain way 'is' the religion of the other group only in a different topological form. "18 Although admitting that such a view may sound "too optimistic," it provides insight into the basis upon which homologous correlations can be made. Although religions and cultures are profoundly unique, they may represent transformations of a more primordial experience that make each tradition a dimension of the other. If this is the case, then dialogical dialogue may not only uncover hidden meanings within another religious system; it also discovers hidden or repressed meanings within one's own. Panikkar gives the example of the Greek and Christian conceptions of the logos which appear conceptually distinct, even contradictory. The former is a semi-divine, created principle of rationality in the universe; the latter, a fully divine, non-created power in the world. However, once these two symbols are thought through together "the former had to offer a certain affinity to the new meaning that would be enhanced once it was assumed. "19 In this way, there is a coalescence of symbols within both traditions. Accordingly, the notion of homeomorphic equivalence not only recognizes points of encounter; it equally suggests a process of� "mutual fecundation. "20 It has an eschatological role to play. Religions and cultures continue to intertwine historically and existentially so that self-understandings and symbols are in a constant process of mutual influence and growth. Panikkar develops his cosmotheandric vision of reality with reference to three major religious traditions to which he 'belongs': the Christian Trinity; the Vedanta Hindu advaita; the Buddhist pratityasamutpada. He claims, nonetheless, that the threefold pattern--traditionally Theos-anthropos-cosmos--are invariants of all religions and cultures. He describes the cosmotheandric principle as an "intuition of the threefold structure of all reality, the triadic oneness existing on all levels of consciousness and reality. "23 In Christian terms, ultimate reality, the Trinity, is one but also three; in Hindu terms the ultimate unity of all things is literally neither one (advaita) nor two (advitya); in Buddhist terms everything is radically related to everything else (pratityasamutpada). Three assumptions lay behind Panikkar's cosmotheandric vision. The first is that reality is ultimately harmonious. It is neither a monolithic unity nor sheer diversity and multiplicity. Second, reality is radically relational and interdependent so that every reality is constitutively connected to all other realities: "every being is nothing but relatedness." There is, if you like, organic unity and dynamic process where every 'part' of the whole 'participates' in or 'mirrors' the whole. This corresponds to the ancient notion that every reality is a microcosm of the macro-universe. A contemporary version would be the Gaia principle. Third, reality is symbolic, both pointing to and participating in something beyond itself. We do not have a God separate from the world, a world that is purely material, nor humans that are reducible to their own thought-processes or cultural expressions. While it is important to recognise the "symbolic difference" between God and the world, as between one religion and another, for Panikkar, all cultures, religions and peoples are relationally and symbolically entwined with each other, with the world in which we live, and with an ultimate divine reality. Of course, this divine dimension is discernable within the depths of the human person. Humanity is not a closed system and, despite whatever forms of manipulation and control are exercised, the aspect of (divine) freedom remains. Nor is the world without its own dimension of mystery since it too is a living organism with endless possibility as the astro-physicists, among others, are showing us. Moreover, the earth has its own truth and wisdom even if this has largely been ignored in recent centuries by too many cultures and religions. Consciousness is, if you like, the human dimension of reality which is, however, not reducible to humanity: "Consciousness permeates every being. Eveything that is, is cit." In other words, consciousness relates not only to humans who know but to everything else that is actually or potentially known--including a far galaxy on the other side of the universe. In this sense, "the waters of human consciousness wash all the shores of the real." From the other perspective, the human person is never reducible to consciousness. It is evidently the case that humans participate in the evolving cosmos of which they are a part. They also participate in the divine mystery of freedom. Panikkar presents human experience as a threefold reality: aesthetic, intellectual and mystical.33 He critiques technocratic culture for reducing human life to two levels (the sensible and the rational), forgetting if not despising the `third' realm (the mystical). The `third' realm is not a rarified psychological state, but a `further' depth-dimension within all human awareness. This 'mystical' dimension which comes to the fore as a moment of realization that a certain experience is unique, ineffable, non-repeatable. This cosmotheandric insight stresses human identity with the worldly character and temporal nature of the cosmos; it also manifests a human openness towards the infinite mystery that ipso facto transcends human thought. The basis of such affirmations is human experience itself which somehow refuses to sever itself from the totality of Being: we experience ourselves to be something `more' than mere pawns of nature in the evolution of matter, passing egos in the flow of time, or temporary insertions in the expansion of space. This too has been the fundamental insight of every religious tradition. The world of matter, energy, space and time is, for better or worse, our home. These realities are ultimate and irreducible. There is no thought, prayer or action that is not radically cosmic in its foundations, expressions and effects. 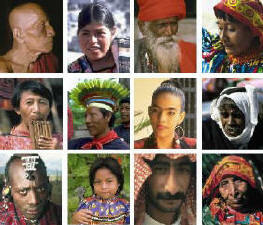 The earth is sacred, as many a tradition proclaims. More than this, there is no sacredness without the secularity of the world (literally saeculum). Panikkar speaks of "sacred secularity" as the particular way in which the divine and conscious dimensions of reality are rooted in the world and its cosmic processes. 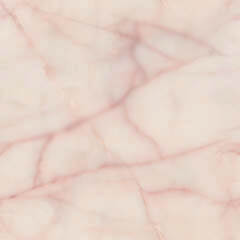 He insists, for example, there is something more than pure materiality in a simple stone.35 Through its existence in space and time, the stone is connected to the entire universe with which it shares its destiny. Notions of inert matter, amorphous space and neutral time are superceded with reference to the ancient wisdom of anima mundi: the universe is a living organism constitutive of the Whole.36 Moreover, science itself is on the way to recovering something of this lost insight through its recognition of the indeterminacy of matter, the open-endedness of space, and the indefinability of time.37 In Panikkar's terms, there are "no disembodied souls or disincarnated gods, just as there is no matter, no energy, no spatio-temporal world without divine and conscious dimensions. "38 Every concrete reality is cosmotheandric, that is, a symbol of the `whole'. It is not only God who reveals; the earth has its own revelations. Panikkar holds that the encounter of traditions through multi-faith (and multi-cultural) dialogue is crucial in the new situation of radical pluralism that confronts our world since no single religion, culture or tradition holds a universal solution for either our theoretical or practical human problems. "Alone and isolated, Hinduism is threatened, Christianity is impotent, Islam is in ferment, Buddhism is dissolving, Marxism is bankrupt, secularism is self-destructing. It is not unthinkable that cross-fertilization among the traditions could reconcile the original insights of the various cultures and make the stilled voices of the sages audible once more over the abysses of time" (Frederick Franck). Moreover, Panikkar's own kind of radical pluralism is appealing in the manner it develops a critical stance towards all imperialistic and monistic modes of thinking and acting. No more will one religion, culture or tradition impose itself on peoples of diverse if less powerful traditions. 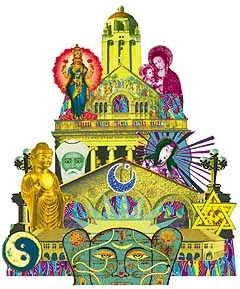 The cosmotheandric vision tells us that a new wholistic experience of reality is emerging in which every tradition, religious or otherwise, can play its part in the unfolding of a new revelation where all will live in harmony and peace. This does not require the abandonment of faith, since faith is what humanity holds in common. Indeed, faith provides the basis upon which dialogical dialogue among the various traditions can aid the purification of beliefs. In fact, it is religion itself or, properly speaking, the religious dimension of the human person that holds the key to our anthropological unity. Panikkar's solution is, of course, a mystical one. The age-old dilemma between the one and the many is transcended through the Christian experience of the Trinity, the Hindu concept of Advaita and the Buddhist notion of "radical relativity." Not that the cosmotheandric vision ignores the insights of the primal traditions (the sacredness of the earth) and the humanistic traditions (the value and autonomy of the world). However, it is a mistake to assume that Panikkar's cosmotheandric proposal is opposed to the demands of reason--which he states always has the "veto power"--or to any method that will assist mutual critique and overturn misunderstanding.42 Panikkar's discourse is directed towards another level of meaning without which human traditions are certainly caught in the endless cycle of power relationships, ideological discord and inevitable misunderstandings. This is the level of meaning that reason alone cannot provide--certainly not if we accept there is a radical differentiation of human experience and intelligibility across cultures and religions. His emphasis on the experience and praxis of dialogical dialogue is important because it emphasizes the communicative possibilities of symbols. Without some kind of trust in the other and some form of optimism in the human spirit (or in God, Being, Truth, Non-being, Transcendence or Life itself), the other must forever remain the unknown stranger. Nonetheless, the subtlety of Panikkar's thought should not be underestimated. This is evident, for example, in his notions of homeomorphic equivalence and topological transformation. It is only through the actual praxis of dialogue among specific traditions that similarities and differences can be explored at the deepest level. The danger here is to assume the supremacy of the logos without first entering into symbolic and mythic engagement--and without commitment to personal transformation. The invitation to dialogical dialogue represents a radical departure from the narrower focus of dialectical dialogue which too readily assumes there is such a thing as pure truth located in the human intellect. Panikkar's dialogical dialogue and cosmotheandric vision do provide an original if provocative solution to the postmodern challenge of uncovering "what is questionable and what is genuine in self and other, while opening self to other and allowing other to remain other. "43 People and human traditions, whether religious or secular, are capable of growth and change--especially through their mutual sharing with, receiving from and critiquing of themselves and the other in dialogue. This remains Panikkar's primary insight and lasting legacy. 3 See, for example, IRD, 1-23. 5 "Faith cannot be equated with belief, but faith always needs a belief to be faith. Belief is not faith, but it must convey faith. A disembodied faith is not faith." IRD, 18. 9 Expanding this notion, Panikkar states: "Dialogical dialogue, which differs from the dialectical one, stands on the assumption that nobody has access to the universal horizon of human experience, and that only by not postulating the rules of the encounter from a single side can Man proceed towards a deeper and more universal understanding of himself and thus come closer to his own realization." IRD, 91. 12 Panikkar, "Verstehen als �berzeugstein," in Neue Anthropologie, H. G. Gadamer and P. Vogler, eds., Philosophische Anthropologie, Vol. 7 (Stuttgart: Thieme, 1975), 137. The practical application of this principle is explained elsewhere by Panikkar with reference to Hindu and Christian understandings of each other: "A Christian will never fully understand Hinduism if he is not, in one way or another converted to Hinduism. Nor will a Hind ever fully understand Christianity unless he, in one way or another, becomes a Christian." UCH, 43. 14 IH, 173f.. Panikkar adds that "there is always place for diversity of opinions and multiplicity of mental schemes of intelligibility." 16 Growth is a primary category for Panikkar's understanding of religions, cultures and reality itself: "The physical theory of an expanding universe may furnish a fair image of what happens in the ontological realm as well." This translates into the cosmotheandric vision: "In a word, there is real growth in Man, in the World and, I would also add, in God, at least inasmuch as neither immutability nor change are categories of the divine." "Growth in Comparative Religion," in IRD, 70f. 17 See especially, UCH, 147ff. 20 In Private Correspondence (6th March 2002), Roger Rapp cautions against an approach that would subsume mutual fecundation under the notion of homeomorphic equivalence which, he states, "is just a minor subset of dialogical dialogue and mutual fecundation." He adds that "only symbols, and not concepts, can exhibit homeomorphic equivalence." For these reasons, I agree that it would be valuable to develop the notion of mutual fecundation independently of its relationship to homeomorphic equivalence. Nonetheless, all that is being claimed here is that Panikkar's notion of homology needs to be understood in terms of its relationship to mutual fecundation. 31 Panikkar suggests that the divine would have more affinity with the "dancing God" of Nietzsche. RB, chap. 7. 32 These four insights regarding the nature of the divine--transcendence, immanence, irreducibility, ineffability--are evident in the respective attitudes of montheism, pantheism, polytheism and atheism. Panikkar suggests that "these four traits are mutually incompatible only within the framework of theism. (Hence) we need to understand them under a more appropiate horizon." RB, "Unsatisfactory Theisms," chap. 3. 33 Panikkar's earlier attempt to formulate an "integral anthropology" according to the intellect-will-senses triad is superceded here on account of the need to show the theanthropocosmic correspondence. This represents a development--or a spiralling--in his thought from earlier formulations. 34 Panikkar, "The Radical Trinity" in RB, chap. 5. 35 See Panikkar's analytical reflection on stones and the cosmos. "The Cosmotheandric Invariant" in RB, chap. 6. 36 RB, chap. 6. Panikkar claims to use the symbol of anima mundi according to "the traditional insight (that) sees the entire universe, and not the Earth alone, as a living organism which constitutes a Whole--(and) of which the human being is the root metaphor." He alludes to examples from the Rig Veda, St. Paul (the Mystical Body), Chinese, Buddhist, African and Native American traditions. On the theme of Anima Mundi--Vita Hominis--Spiritus Dei, see Panikkar's Epilogue--also entitled "Aspects of a Cosmotheandric Spirituality"--in CE, 135-152. Among other arguments, Panikkar says that pantheistic interpretations of anima mundi are due to platonic misconceptions. 37 See Panikkar's early scientific studies and our discussion of these in Chapter Two. The cosmological thrust of those studies seems confirmed in more recent writings such as: Paul Davies, God and the New Physics (London: Penguin Books, 1984); idem, The Mind of God: Science and the Search for Ultimate Meaning (London: Penguin Books, 1992); Stephen Hawking, A Brief History of Time (Toronto: Bantam Books, 1988). Stephen Happel's rhetorical reading argues that Hawking's metaphors lead toward a deconstruction of time, whereas Davies' metaphoricizes narrativity. Happel, "Metaphors and Time Asymmetry: Cosmology in Physics and Christian Meanings" (Private Manuscript, Catholic University of America, 1991). In my reading, Panikkar's `metaphors' of temporality and tempiternity are more closely aligned to Davies' narrative and teleological understanding of time. 40 See, for example, CE, 75. 41 Elsewhere I have suggested that Panikkar's hermeneutical procedures are most closely aligned with the "existential phenomenological hermeneutics" of Heidegger and Gadamer. Also called a "hermeneutics of retrieval," it requires the complementarity of Ricoeur's "hermeneutics of suspicion" with its extra attention to method and critique. See Gerard Hall, Raimon Panikkar's Hermeneutics of Religious Pluralism (Ann Arbor: UMI, 1994), 299f. 42 In this context, it is worth noting that emancipative projects from Freudian psycho-analysis to Habermas' ideal speech communication require communicative praxis with attention to the dysfunctional and liberative power of symbols and belief systems. Such strategies are quite in keeping with the demands of dialogical dialogue and in accord with Panikkar's diatopical hermeneutics. 43 David Klemm, "Toward a Rhetoric of Postmodern Theology," in Journal of the American Academy of Religion 55:3 (1987), 456.